The final trend that I highlighted for the year is the growth of flexible packaging. As I said earlier, we will continue to see the evolution of more rigid containers like metal cans, glass jars and plastic tubs to flexible pouches and bags. The global market for flexible packaging is projected to grow annually at an average rate of 3.4% over the next five years. It should reach $248 billion by 2020. (Source: Provisioner Online) Overall, consumer and manufacturer needs are driving this conversion. Convenience and ease of use are key attributes that consumers appreciate in flexible packaging. 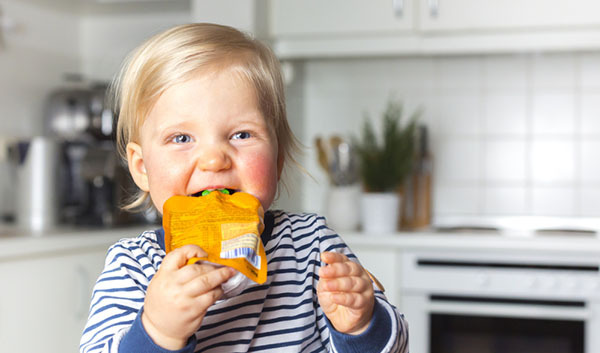 Because consumers today are busier than ever, food in flexible packaging allows them to take things with them and potentially eat directly out of the package. Some brands are switching from rigid to flexible packages that allow consumers to cook the meal in it, making the package a serving vehicle. 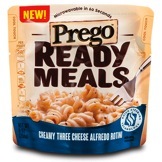 For example, Prego® recently introduced their line of Ready Meals. These meals come in a self-venting pouch that looks and functions like a bowl. Consumers can pop the pouch into the microwave for 60 seconds and enjoy a hot meal right out of the bag. The food does not need to be refrigerated so it can be taken anywhere for a quick meal. 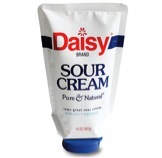 An example of ease of use is the Daisy® Brand sour cream package. The Daisy Squeeze package is a wedge-shaped pouch that comes with a flip-top dispenser. Consumers can flip the cap open and squeeze the package for sour cream. The package allows for easy, drip-free dispensing – and no need for a spoon! For manufacturers, flexible packaging is what it is – more flexible. From a consumable preservation perspective, flexible packaging allows for variability in barrier properties. Other more rigid forms of packaging typically offer set properties that do not allow for specialization specific to product needs. Flexible packaging also enables manufacturers to explore a variety of shapes, sizes and appearances. They can cater the opening and reclosing features as well by adding zippers, spouts or handles, making the package more user/consumer friendly. 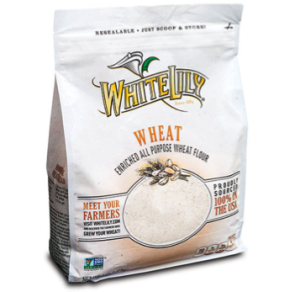 An example of a package that has become a great alternative – and a first – to the current packaging in its category is the White Lily specialty flour re-closable pouch. Flour is traditionally found in paper-walled bags. The existing packages are not re-closable and often are messy for the consumer and the retailer due to tears and leaks in the package. The box pouch provides a barrier against damage; it also provides shelf-stability, five panels for marketing the product, improved moisture resistance, and a hook and loop zipper that easily closes during contact with fine particles. Flexible packaging also provides the opportunity for the brand to showcase its premium nature through the use of a matte varnish that enhances the organic brand’s image. Additionally, there is a viewing window that allows consumers to see the product. While flexible packaging isn’t right for every consumable, it’s safe to say we will start to see it penetrate categories that have not used it before. Are your brands considering a change that offers more flexibility? We can help. Learn more about our consumer packaging expertise.